Triad TC casters are designed to thread into our special, caster-ready, large 3-section tripod stand stand. Only purchase TC casters if you are sure that your Triad T3 stand is threaded to accept them. 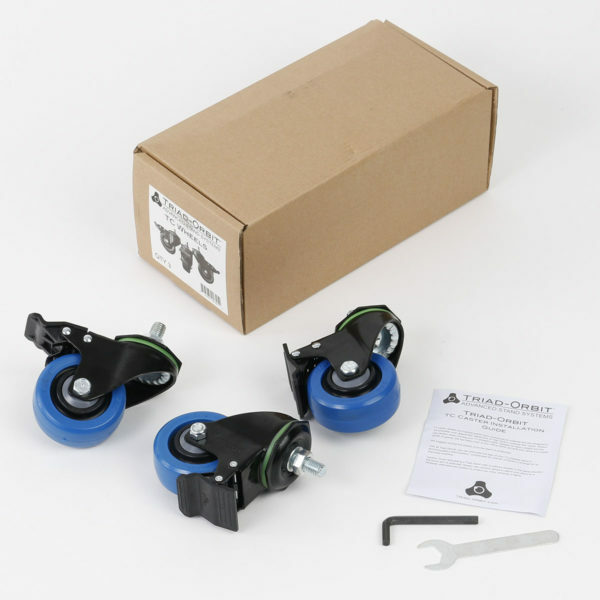 Triad TC™ Casters are industrial grade dual-locking studio casters.Available as a set of three and compatible with all current T3 stands. If you have questions about this part please contact our Warranty Support Team at 1-888-846-8776 or send us an email via our Contact Us page.